Mahoning County Children Services Board is comprised of nine members who are appointed by the Mahoning County Commissioners. Officers are elected by a majority of the board membership and serve two-year terms. Dr. Joseph Mosca has been a Children Services Board Member since 2013. He is currently the Provost at Youngstown State University. Prior to being appointed Provost, Dr. Mosca served as the Dean of the Bitonte College of Health and Human Services at Youngstown State University. Dr. Mosca earned a Ph.D. in social work from the University of Pittsburgh, a Master’s Degree in social work from the University of Illinois, Chicago, and a Bachelor’s Degree in social work from the University of Illinois, Chicago. Dr. Mosca has an extensive list of professional consultant/community service activities, funded projects, national and international paper presentations, university service, and professional development activities. He is the recipient of numerous prestigious awards including Social Worker of the Year Award and Outstanding Service Award from the National Association of Social Workers/Ohio Chapter Region 4. Dr. Mosca also received the YSU Professional/Administrative Staff Award for Distinguished Service, YSU Distinguished Professor Award for University Service, YSU Smith-Murphy Award for Teaching Excellence, and the YSU Watson Merit Award for leadership. Dr. Benjamin L. McGee was appointed to the Board in 2016. Now retired and serving as an Independent Education and Social Service Agency Consultant, Dr. McGee has spent his professional career in education and working with youth. Prior to his retirement, Dr. McGee served as Superintendent of Youngstown City School District, Youngstown, Ohio. After retiring from Youngstown City Schools, Dr. McGee served as Assistant Professor, Department of Special Education, Counseling and School Psychology at Youngstown State University and was also Special Assistant to the State Associate Superintendent for Urban Initiatives, Ohio Department of Education, Columbus, Ohio. Dr. McGee currently serves on numerous service organization Boards. He is the recipient of several prestigious awards including Educator of the Year and Youngstown State Alumni Award for Diversity. Dr. McGee received his Doctorate in Education from Youngstown State University, a Master’s Degree from Youngstown State University and Undergraduate Degree from The Ohio State University. Anthony Spano has served on the Mahoning County Children Services Board since April 2012. A Youngstown State University graduate, Spano is currently a Purchasing Coordinator at Youngstown State University. The majority of Spano’s career has included positions and leadership roles involving youth. He is Founder and Executive Director of Hope Foundation of the Mahoning Valley, a non-profit organization serving chronically and terminally-ill children. Spano has also been publicly recognized for his community service work and is the recipient of numerous prestigious awards including: The President Volunteer Service Award for Lifetime Achievement, recognizing, celebrating and inspiring community service leaders and volunteers to lead the charge. The award is presented by the President of the United States. Delphine Baldwin-Casey has been a member of the Mahoning County Children Services Board since 2014. She is a Retired Detective/Sergeant serving 31 years with the Youngstown Police Department. Delphine was one of the City’s first five females on patrol and she became the first female Patrol Sergeant. She earned a Degree in Criminal Justice from Youngstown State University. Delphine is a state certified instructor by the Ohio Peace Officer Training Council and has acquired more than 300 hours of specialized training. She teaches at Youngstown State University Police Academy specializing in Domestic Violence, Sexual Assaults, Stalking Crimes, Youth Violence Prevention, Elder Abuse, Cultural Diversity, Crisis Intervention, Self-Protection for Women, Ohio Carry Conceal Weapon, and Private Security Programs. During her years of service, Delphine has investigated high-profile cases with very sensitive issues. She has received local and statewide recognition for her work and dedication to violence against women including the Ohio Distinguished Law Enforcement Lifetime Achievement Award from Attorney General Mike DeWine for her years of dedication and Service to Law Enforcement, the Citizens of the Mahoning Valley and the State of Ohio. Delphine has organized many workshops and seminars for police, federal agencies, organizations, schools and churches. Marilyn Montes is the Director of Operations and Compliance for Mahoning Youngstown Community Action Partnership (MYCAP) based in Youngstown. She has worked for MYCAP over 25 years, and other urban and rural Community Action Agencies and the housing authority over the last 13 years. Montes is a certified Human Resource Professional with experience managing and maintaining compliances in all human resource disciplines. She is also certified in Labor Management. In 2015, Montes attained certification as a Non-Profit Accounting Professional (CNAP). She also started Montes HR Generalist Consulting Services in 2014. The company assists an organization’s Board of Directors to hire their top management positions such as the CEO/ED CFO, HR and/or COO. Montes grew up in Youngstown after coming to Ohio from Puerto Rico at the age of three. She has two adult children and is now enjoying her grandchildren. Loisjean Haynes-Paige was appointed to the Children Services Board in 2018. 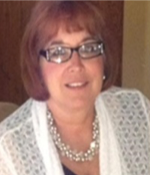 Loisjean, now a retired educator, has worked in numerous school systems and technical colleges in Mahoning County. For 21 years she served in a variety of roles within the Youngstown City Schools and Choffin Career and Technical Center. Up until her recent retirement in May 2018, Loisjean served as Program Director for the Workforce Readiness Program, and as a Choffin Instructor teaching Business Technology, Computer Applications, Entrepreneurship and Financial Literacy. She also served as the District Internship Job Program Director for The Youngstown Business and Education Community Connections Program (YBECC) for Youngstown City Schools, a pilot program started by Ohio Governor John Kasich. During her time at Choffin, Loisjean also served as an Adjunct Professor in the Business Department at Eastern Gateway Community College, Youngstown, Ohio. She holds a Bachelor of Science Degree in Education, as well as two Associate’s Degrees in Applied Business and Fashion and Retail Marketing from Youngstown State University. She earned a Master of Education from Grand Canyon University, Phoenix, Arizona. During her career, she was named “Teacher of the Year 2011-2012.” She is a certified career development professional with Global Career Development Facilitator (GCDF), a member of Delta Kappa Gamma MU, National Association of Professional Women and National Career Development Association (NCDA). She was nominated 2016-2017 for the National Association of Workforce Development Professional Sar Levitan Advancing the Research Agenda Award, and the Thomas Ahlers System Building Award. She also holds an Ohio Real Estate License for 26 years. 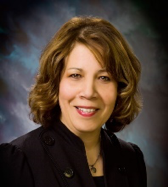 Pastor JoAnn Pangio was appointed to the Board in 2016. Pastor Pangio has spent the majority of her career in the ministry. She is currently the Senior Pastor at Abundant Harvest World Outreach Center, Austintown. Pastor Pangio is credentialed and affiliated with Abundant Ministries Fellowship and also ordained with the International Fellowship of Churches Assemblies. She also served as Administrator of Rejoicing Life Christian School which she and her husband, Dr. Michael J. Pangio founded in Middleport Ohio and has directed many Sunday school programs. Pastor Pangio has traveled to Africa, Peru, Nicaragua, France and the Caribbean to minister in conferences and also has a program on PTV called “Spiritually Speaking.” She is also a volunteer at Struthers Middle School with the MORE Reading Program. She and her husband have 3 children and 4 grandchildren. She is a Youngstown, Ohio native, a graduate of Cardinal Mooney and attended Abundant Word Bible School. Daniel Wakefield is the director of the Ursuline Sisters HIV/AIDS Ministry. Wakefield holds a Master’s degree in history from John Carroll University, Cleveland, and a Master’s degree in education from the University of Nevada, Las Vegas. He earned two baccalaureates from Youngstown State University, one a Bachelor of Science in Education, the other a Bachelor of Arts in history, and he is a graduate of the University Scholars and Honors program. Wakefield worked as an educator for a number of years prior to joining the Ursuline Sisters HIV/AIDS Ministry in 2000. He currently serves on the board of the Dorothy Day House of Hospitality and as hospitality and communications chair for the Ursuline Sisters Associate program. Wakefield is also involved with the Mahoning County Homeless Continuum of Care. Additionally, Wakefield received the “25 Under 35” Award from the Community Foundation of the Mahoning Valley in 2014. Kristine Wolford was appointed to the Mahoning County Children Services Board in 2019, continuing a life-long calling to serve children and their families. As an adoptive parent, Kristine has experienced the specialized care and concerns of children in foster placement and adoptive families. After two decades in pediatric healthcare, Kristine is now a Wrap-Around Coordinator and Parent Peer Support Specialist helping families to navigate systems. Kristine holds numerous professional and volunteer certifications, including that of NAMI Parent Advocate, and is a former member of the Ohio Department of Mental Health & Addiction Services’ ENGAGE Family Advisory Council, former Family Representative for the Mahoning County Family & Children First Council Executive Committee, and volunteers at the Purple Cat.